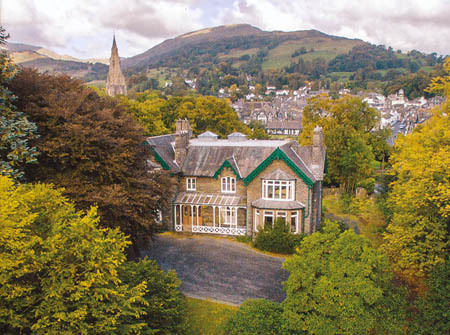 Set in its own two acres of private grounds, yet close to the town centre, Ambleside Manor is a lovely Victorian country guest house offering vegetarian bed and breakfast. 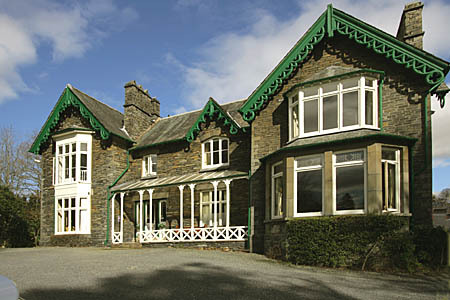 We are less than ten minutes walk from Lake Windermere at Waterhead. Many mountain and valley walks of all grades start from the doorstep. There is ample private parking. We are open all year. Families are welcome. We offer a continental vegetarian buffet including fresh fruits, muesli, cereals, home baked bread, yoghurt, preserves, including our own honey when available, coffee and teas, followed by a full cooked vegetarian breakfast with a choice of free range eggs cooked to order, baked tomatoes, fried mushrooms, vegan sausage and organic baked beans. Vegan and gluten-free options are also available. 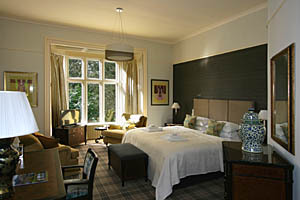 The sixteen bedrooms are appointed to a very high standard. 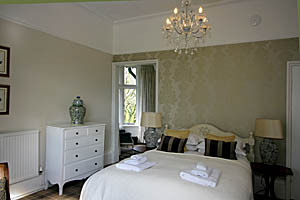 All rooms have en-suite bath and shower or walk in shower, TV/DVD, and tea and coffee making facilities. 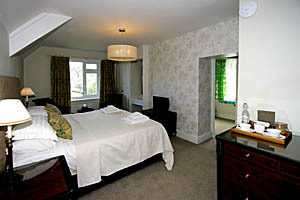 In addition to our standard rooms we also offer a selection of superior rooms and very special suites. The luxury suites offer outstanding views and have spacious lounge areas. For more information and Online Booking go to our website or phone 015394 32062.